What’s all the Fuss about Fluoride in our Water? Paul Sharma is the acting Director for the Chronic Disease and Injury Prevention division at Peel Public Health. Before Peel, Paul was the Manager of the Oral Health programs at Middlesex-London Health Unit and previously Manager in the Department of Oral Health at the Hastings & Prince Edward Counties Health Unit. 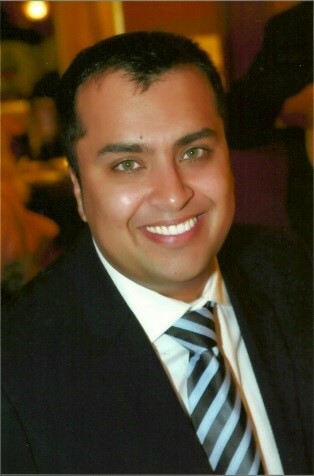 Paul currently sits on the Executive of the Ontario Association of Public Health Dentistry (OAPHD) serving as President. As well, Paul sits on the Association of Local Public Health Agencies (alPHa) Board of Directors representing OAPHD. Paul’s first position in health care was working as a registered dental hygienist in Toronto primarily providing services to individuals living with HIV. Paul has also been involved in dental hygiene education in a teaching and management capacity. Paul has completed his Masters of Science in Dental Public Health from King’s College, University of London, in London, England. Paula, a registered dental hygienist and manager of health policy at the Canadian Dental Hygienists Association (CDHA), has extensive experience in health promotion, disease prevention, and health policy. Her role at CDHA involves conducting literature reviews on critical oral health issues, developing position papers and statements, and working with stakeholders to improve access to care. Paula plays an active role in advocating for public policies and initiatives that better support the oral health of Canadians.